As the 2016 band camp season kicks off we are going to take you around the country to see what's in store for band programs, fans and members. Today we are taking you to Starkville, MS to hear about the plans for the Famous Maroon Band at Mississippi State University. 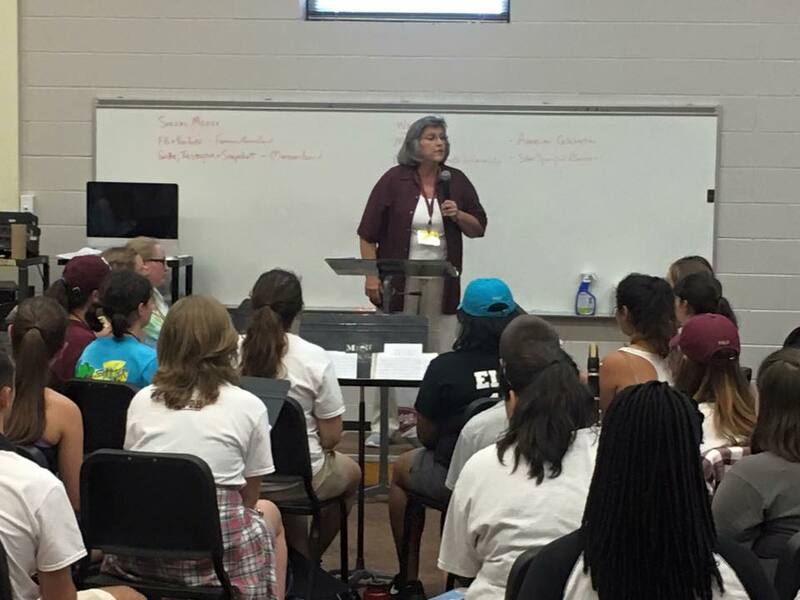 We sat down with Director of Bands Elva Kaye Lance, who is celebrating her 25th year at MSU, to get the inside scoop. We have outstanding students in our band program. We have a strong group of returning members and a very musically and academically talented group of Freshman and Transfer students. I consider it a privilege to work with these fine students as they move toward becoming professionals and as they create special memories from their college days. When did band camp start and what is your favorite part of camp each year? Band Camp began with the percussion on August 2. The new students reported on August 6 and we began with everyone on August 7, continuing through August 12[sup]th[/sup]. My favorite part of band camp is watching and working with our other staff to develop a cohesive unit with a group of 375+ students from varying backgrounds and with varying levels of understanding and expertise. A very enjoyable part of that is watching our student leaders help those in their charge to develop a sense of place on the MSU campus as well as in our band program. We have a very active group of students who are engaged in various service and research projects around the world and I also enjoy hearing about their summer experiences. Where will the full band be traveling this year? Any other special performances? What can we expect at halftime this fall? Our halftime performances include a “Diva” show and will feature music of Aretha Franklin, Dianna Ross, Madonna, Whitney Houston, Beyonce, and Adele. Our second show will feature the music of the legendary Chuck Mangione. Later in the season, we will be doing a Spy show featuring music from James Bond and other spy themed shows. In addition we will perform our annual patriotic show and homecoming shows as we have in the past. If there was one other band in the country that you'd love to host at MSU who would it be and why? College bands help to provide the distinction between college football and professional football. It is always a great atmosphere anytime the game features two college bands at halftime. It is impossible to identify one in particular. All are always welcome. I very much enjoy the opportunity to work with my colleagues and make music with our students. Being an alumna makes the job even more special as I have been able to participate in many key events in our university history over the past twenty-five years. We as a band staff frequently get the unique opportunity to interact with current university students, future MSU students, and our university alumni. That makes for an interesting and fun job! What do you hope the students take away from their time in band? I hope they realize that they are part of a special organization, one that has been at the center of activities for over 114 years. And I hope that they make lifelong friends and lasting memories of a very special place and a very special time in their lives. Tomorrow we will be taking you to State College, PA to hear from Greg Drane, Director of the Penn State Blue Band. Stay tuned!